My friend Steve called the other day to wish me a happy 60th birthday. Steve will soon observe a milestone himself, turning 50 in August, which he plans to celebrate by doing an Ironman. I coached Steve in the mid-1970s when he was a finalist at YMCA Nationals. In his 30s and 40s, he has regularly been a nationally ranked Masters swimmer. Steve’s friends have affectionately called him “Bear” since his teens, so his build isn’t ideal for triathlon, much less one that includes 112 miles of cycling and a running marathon. He could lose 30 lbs and still qualify as a Clydesdale. but he’s solidly built with little excess, so losing weight isn’t an easy task, though he spends many hours each week running and cycling. I shared with him that one of the most important — and liberating — lessons I had learned in my 50s was to cast off the rule of rigid, imposed or canned schedules and follow intuition instead. Triathletes, more than most endurance athletes, tend to be guided by schedules, sometimes from a book, other times by a coach. It’s not surprising given how daunting it can seem to prepare physically for an endurance event, while also trying to combine three disciplines in a complementary manner. That seems like a job for a professional. As a professional coach myself, I was inclined to plan and follow relatively structured schedules to train for Masters meets from my late 30s through late 40s. My plans were well-designed physiologically but at times my workouts felt more like an obligation than a pleasure. Still, my results were pretty solid. Twice I placed as high as 2nd in mile races at Masters Nationals, once in the pool and once in open water. But my experience coaching the varsity sprinters at West Point, in my late 40s made me consider that a more organic approach could be more enjoyable and still produce better results. At West Point I planned sets to practice skills that win races, rather than as conditioning exercises. Skill Mastery (such as maintaining a specific stroke count at a precise pace) requires powerful engagement and exacting execution. Conditioning simply asks that you keep moving at a certain heart rate for a certain duration. Some days, whether from physical or mental fatigue, my Army swimmers couldn’t execute at the level I was seeking. I would stop the set, remind them of the objective, state my conviction they were capable of meeting it, and start again. If they still fell short, I’d stop them again, scrap the set — sometimes the entire practice — and give them a task I felt they were capable of doing well. I ‘edited’ sets or practices at least once a week. That group of swimmers improved as much or more as any I had ever coached. When I entered my 50s, I applied the same thinking to my own training. Sometimes that meant scrapping a set of 100s I had planned, perhaps because of fatigue — a reality of middle age — but just as often because I couldn’t maintain the intense focus the set required. At times it meant ending a planned 60-minute practice after 40 minutes because I sensed myself practicing struggle. And sometimes it meant skipping a planned swim in favor of a mountain bike ride simply because it was too beautiful to be indoors. Ever since I’ve tried to plan practices that I could get excited about, even as I wrote them earlier in the day. Some days I head to the pool without a plan, and make one while warming up, tuning into signals from my body about what it needed or wanted. It’s hard to argue with the results. I’ve won national titles and broken national age group records in my 50s, achievements that seemed inconceivable when my trained was guided more by external formulas. While my times are respectable for a 60-year old, it’s reasonable to ask whether training by intuition, rather than formula or schedule can truly produce high performance. 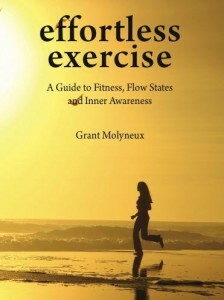 Matt Fitzgerald in his book Run: The Mind-Body Method of Running writes that elite runners are “more serious about enjoyment” than recreational runners. Olympic Gold Medalist and 27-time world-record-holder Haile Gebresellasie says that happiness isn’t incidental to his success; it’s the secret to his success. According to Fitzgerald “Geb” doesn’t perform intervals to create a particular physiological adaptation, he plans workouts – and adjusts them on the fly – to ensure that he feels his best, physically, mentally and emotionally. At the end of our conversation I suggested to Steve that he remember why he chose to pursue an Ironman. Ultimately it’s not to do it in 14, or 13, or 12 hours. It’s because he expects that the satisfaction of completing the journey – the race and the training – will make him happier. Since the real goal is to be happy, I asked why defer happiness for 5 or 6 months. Why not be happy now and every day? Be conscious of physiological principles and fitness requirements, but at the same time make each day’s choices based on tuning into your body and your psyche and use free choice to intuitively plan, and when needed modify, that day’s program. 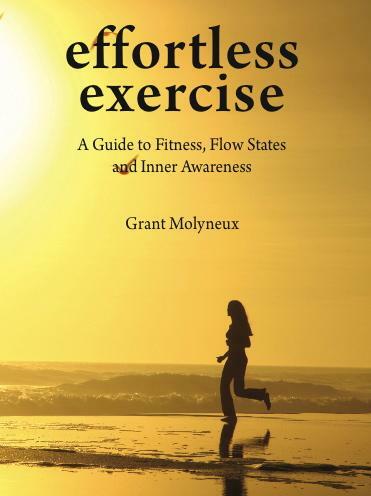 Related: TI Coach Grant Molyneux’s book Effortless Exercise is a guide to moving from the “No Pain, No Gain” school of athletic training to unlocking your unrealized potential through Flow states and Zen experiences, as is TI Coach Shane Eversfield’s book Zendurance. This really resonated with me. Not so much because I have specific athletic goals but rather for personal life goals and in particular work goals. I realized that I didn’t have to attain certain performance objectives. I could be happier with less just by accepting it. There was no big score keeper comparing me to my potential. That was in my head. Even though my boss could be unhappy with my performance, that is really not my issue. I stopped putting that type of pressure on myself precisely so I’d be happy today, not some mythical day when it all came together. Experience, i.e. empirical evidence of that not happening, made it easier to accept and I FEEL a lot better. Being happy today, right on. Being happy with less isn’t necessarily the message I was sending. Rather that it’s better to listen to signals from your body and psyche and be guided by those, rather than an arbitrary schedule someone else made up. Or even that you made up, but which seemed like a better idea at the time you wrote it but less so on the day you’re supposed to do it.